These past several weeks have been a blur thanks to me working retail over the holidays. It was my first experience in doing so and the fact that I work in a meat department made it quite unique. Here in the US, there are various traditions for what one eats for what holiday. Ham and beef rib roast are usual for Christmas. 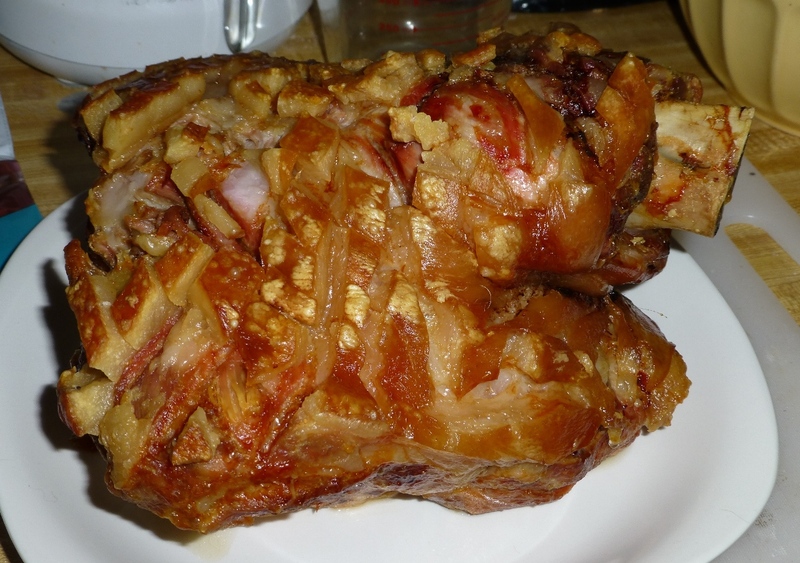 Here in Pennsylvania, pork cooked with sauerkraut is common for New Year’s Day, thanks to our Germanic heritage. So we had hundreds, or maybe thousands of people desperate to achieve their ideal of holiday meat. This makes people nuts as far as I can tell. Suddenly, people who are assumed sane at any other time now buy $400 roasts, having never cooked anything like it before. The reason for that ridiculous price? I’m not sure if it’s common around the world, but the US has a beef grading system that has some beef considered “prime” which makes it about 3-5 times as much per pound than the next grade down, “choice”. It’s from younger cattle and it has a greater amount of fat marbled through the muscle. I personally find it far too fatty, but as always some are willing to pay to be seen to pay. I did have a chance to cook a few things during the craziness, and of course found a few new things to drink. First up is beef goulash. I have about half my ancestry as Hungarian but my relatives weren’t much on the cooking. 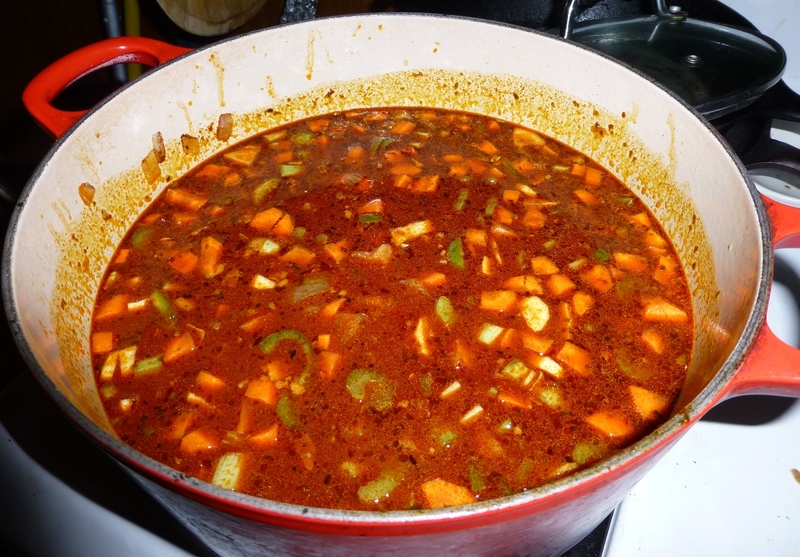 So I found a goulash recipe at one of the places we visited up in the Finger Lakes. It was pretty much like the one at Saveur, so I saw what was common between the two and went with that. The sweet taste of the paprika is very prominent, as well as the sweetness of the root vegetables. One of those veggies was parsnips. I remember trying them when I was young and finding them nasty. I rather like their sweet muskiness now. I did not use potatoes in my version. I used the spaetzel noodles with it and of course, crusty rolls. I used chuck roast, actually a cut called a “chuck eye”. It’s one of the muscles in the chuck (shoulder) that doesn’t do much and is quite tender. It also has a decent amount of fat so it cooks down soft and luscious. It’s been called one of the butcher’s secrets. They aren’t very common to see in the states, so scoop them up when you see them. Ask for them at the supermarket, there may be some in the back that they can’t get rid of since few are familiar with them. The other big meal I made was yet another pork shoulder. These last us about 6 months, eating one meal from it and then freezing the roasted meat to make bao and whatever else I can think of. I cut the skin in small diamonds so it would crisp up better. The wine with this was a bottle from Greece. From Boutari wines, it is a Santorini wine from the Assyrtiko grape. I picked it up because it was one of the few bottles that mentioned the wine being good with pork. It was very dry and had a nice honey scent. It really did go excellently with fatty pork. For around $12, I think it was a happily lucky pick. I also got a bubbly wine for New Year’s Eve. I worked until late afternoon and people were still wandering around looking for “a good piece of pork”. The bubbly was a cava from Spain, Cintra Purpura SemiSec, from Juve y Camps (beware, autoplay music and damn near impossible to navigate website). I was happy to find a demi-sec at the state store, rather than the usual brut or extra dry. It was just sweet enough, but not like Asti Spumante, an infamously sweet bubbly. A very nice wine to see out the old year. That’s it for now. Eat well! May you all have a fine 2014! Next Post Not So Polite Dinner Conversation – a Christian commenter comes slinking back, and a question: why believe one and not the others?